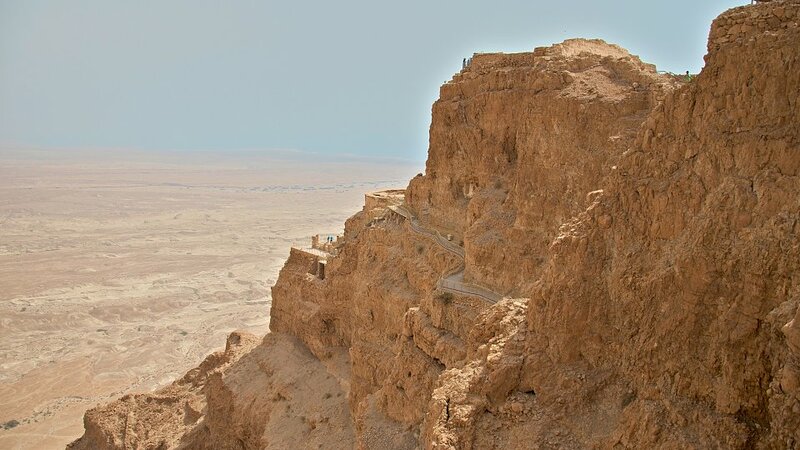 Herod the Great built his winter palace on the top of the huge table top mountain of Masada. To call Herod's compound a palace does not really tell the whole story. Herod believed people were trying to kill him so he built a deluxe palace/fortress where he could have held up for years if he needed to. The story of Masada is not biblical as it happened shortly after the destruction of Jerusalem by the Roman army in 70 AD. At Masada, the valiant Jewish zealots withstood the Roman legions for years and triumphed by never being taken alive. This represents a great earthly victory for the Jews, but it makes me pause and consider the victory of Christ over sin and death, a far greater victory for the Christian.